CFHA’s mission is to promote comprehensive and cost-effective models of healthcare delivery that integrate mind and body, individual and family, patients, providers and communities. A large effort of working to achieve this mission is through our Special Interest Groups, which are individual groups devoted toward discussion, innovation and education in one specific model or element of integrated care. While we currently have four Special Interest Groups, we are always seeking to expand the content areas which we focus on and will continue to develop additional SIGs as we discover other areas of significant interest in the world of integrated care. Group Purpose: To promote a family-centered approach within CFHA and other healthcare organizations and to foster collaboration in scholarship, education/training, practice, and policy. 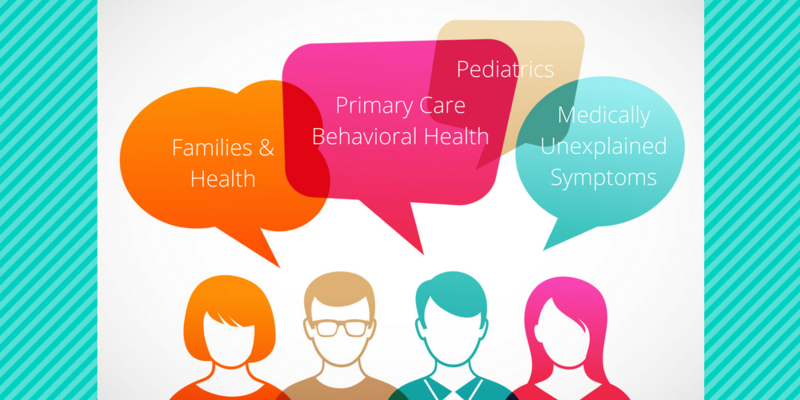 Group Purpose: To promote the role of behavioral health integration in the care of people who present with common symptoms which are often unexplained by a purely biomedical approach (commonly referred to as ‘medically unexplained symptoms’ or MUS), and to foster collaboration in scholarship, education/training, practice and policy in this field. Group Purpose: To grow interest and enthusiasm, provide learning experiences, and promote actionable dissemination activities among CFHA members regarding Pediatric Integrated Care delivery. Group Purpose: To grow interest and enthusiasm, provide learning experiences, and promote actionable dissemination activities among CFHA members regarding PCBH Service Model delivery. Discussion topics will include: funding, policy and procedures, skill acquisitions, training models, and research and evaluation. In addition to four Special Interest Groups, CFHA also has a research committee in which all members can participate. There is no sign-up required and monthly meeting information is sent out through the CFHA Listserv. Group Purpose: To grow interest and enthusiasm among CFHA members regarding research and to create opportunities for CFHA members to actively participate in research and program evaluation related to collaborative, integrated care. The work of the committee will focus on means to provide education and information that will assist members to: understand and/or use data; effectively evaluate research and outcome data; and understand approaches for evaluating and improving programs.